When I left for errands yesterday, Jason and the 3 boys surprised me with their productivity. 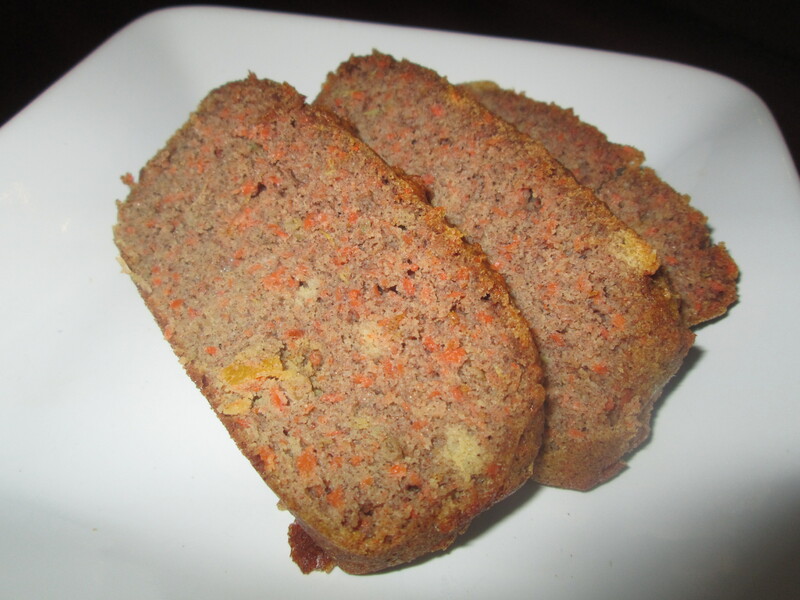 They juiced a lot and used the fiber from the juice to make this lovely carrot bread. It is delicious and relatively simple to make. As a family we almost ate the whole loaf in one sitting. 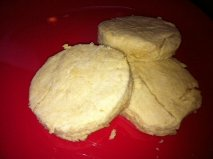 Jason found the recipe at http://www.wellfedhomestead.com/coconut-flour-carrot-muffins-gaps-legal and modified it slightly. Preheat the oven to 350 degrees. Line 12 muffin cups with liners, or grease with coconut oil. Add in the salt, baking soda and cinnamon. Sprinkle the coconut flour over the mixture and then whisk into the batter. Mix well so that there aren’t any clumps. Fold in the shredded carrots and raisins or cranberries. Since discovering this bread from www.againstallgrain.com I have made this bread twice. It tastes great and although it may be pricier to make than other breads most people eat, it’s certainly a whole lot healthier. I used cashew butter on its own the first time I made it and used 1/2 cup cashew butter + 1/2 cup macadamia butter the second time. It was excellent both times. We used it for breakfast as toast and throughout the day as a snack with a nut butter and maybe a little honey. I ran out before we had a chance to use it in a sandwich. Here’s the moment you have all been waiting patiently (and some not so patiently!) for. And because I ♥ my readers, I’m giving it to you a week earlier than planned: Grain-free, yeast-free, dairy-free sandwich bread. It’s moist on the inside with a slight crust on the outside, has an amazing texture and taste when toasted, and can also be used straight from the fridge with some almond butter and jam. We’ve been having a bit of bread overload in our house lately. I’ve made this loaf 6 or 7 times now, changing tidbits here and there until I had it perfected and ready to share with you. Of course, we had to try it out with all of our former beloved bread recipes like paninis, french toast, and fried egg sandwiches first. I also plan to make an egg strada with this and probably even a bread pudding. But most of all, we just like to eat a slice toasted with homemade blueberry jam in the morning with our eggs. Line the bottom of an 8.5×4.5 glass loaf pan with parchment paper, then spread a very thin coating of coconut oil on the sides of the pan. Beat the cashew butter with the egg yolks, then add the honey, vinegar, and milk. I’ve done this with both electric hand beaters and a stand mixer and both seem to work equally as well. I would not try to make this by hand due to the stickiness of the butter. Beat the egg whites in a separate bowl until peaks form. I used an electric hand mixer, but if you want a bicep workout, you can also do it by hand. Combine the dry ingredients in another small bowl. Sorry for all of the dishes! Pour the beaten egg whites into the cashew butter mixture, mixing until just combined. Make sure to get all of the sticky butter mixture off of the bottom of the bowl so you don’t end up with clumps. Pour the dry ingredients into the wet ingredients, and beat until combined. This will result in more of a wet batter than a dough. So far, the only way I’ve used this bread cold and not toasted is with an AB&J, and it was delicious! It is definitely on the more dense side compared to your breads with gluten and yeast, but it’s much lighter than a lot of the gluten-free breads sold in the store that are made with rice or tapioca. The bread gets even lighter and somewhat flaky when toasted or grilled in the panini press, so that is the way I’ve preferred it. As for the cashew butter – I love Artisana’s product. I could eat it by the spoonful. It’s pricy, but no more expensive than almond butter (and I just found out has the same fat and calorie content!). You can make your own if you own a high-speed blender, but it takes some work. You may need to add a little coconut oil to get the extra smooth consistency that Artisana offers (I’ve used 1/4 cup oil with 1.5 cups raw cashews). If you have a lumpy cashew butter, this bread will not work. The loaf made with homemade cashew butter will also come out a little darker and a bit more moist due to the oil. The loaf doesn’t stand very tall, so for larger slices of bread like the french toast below, slice it in half, then lengthwise. And lastly, for all of you coconut-phobes out there- Not to fear – this bread tastes absolutely nothing like it despite the use of coconut flour! We are having the delicious Buttercup squash soup for supper tonight. It’s a little chilly outside with the dampness and the rain so I thought a good soup night should be accompanied by some great biscuits too. I found a good recipe today in The Whole Life Nutrition Cookbook. Combine the rice flour, tapioca flour, baking powder, xanthum gum, and sea salt in a large mixing bowl. Add the butter. Mix together with your fingers until well combined and crumbly. Slowly add the milk, stirring with a spoon as you pour. Gently knead the dough with your hands until just combined. I rolled out the dough onto parchment paper long enough that I could use the parchment paper as a barrier between my roller and the dough so as not to have a lot of stickiness. This way, I didn’t have to add any more flour. If you don’t use parchment paper, you may need to roll out the dough on a floured surface. Once the dough is flat, you can cut into biscuit size pieces and place pn the cookie sheet. Bake for about 10-12 minutes, or until done. Cool slightly on a wire rack and enjoy warm!